Below is a hesped (eulogy) that my Zaydei, Rav Yaakov Meir Kohn, gave for his rebbe, Rav Aharon Kotler zt'l, whose yahrtzeit is tonight - 2 Kislev. I sent this hesped out a few years ago in honor of my Zaydei's yahrtzeit. I happened to chance upon it tonight, and so I am sending it again in honor of the yahrtzeit of one of the foremost builders of Torah in America. May the memory of my Zaydei and Rav Aharon zt'l be for a beracha for all of us. This Monday, 27 MarCheshvan, is the yahrtzeit of my Zayde, R’ Yaakov Meir ben R’ Yosef Yitzchok, Rabbi Yaakov Meir Kohn zt’l. On the night of November 18, 1987, Zayde arrived home from a meeting of the United Jewish Council of the Lower East Side and opened his gemara and began learning. [He was a disciple of Rabbi Elchanan Wasserman zt’l hy’d in the great Yeshiva of Baranovitch and of Rabbi Aharon Kotler zt’l in the famed Yeshiva of Kletzk. Thinking he heard a knock at the door, he went to answer it. At that moment, he had a massive heart attack and was niftar with his gemara still open. Even though I am not worthy, and even though I do not have the ability to properly relate the greatness, of the tremendous personality and leadership qualities of my teacher and master, Rabbi Aharon Kotler zt’l, however because I am the Rav of this shul, and being that I am a disciple of the venerable Rosh Yeshiva, it is impossible for me not to express some sentiments and feelings about the great sage and gaon, who enlightened the entire Torah world throughout his lifetime. What is the meaning of the aforementioned statements of the holy Tana’im by stating that Rabbi Eliezer’s value is greater than rain, the sun, and one’s parents? It is well known that in order for any seed, and subsequently any plant, to sprout and produce fruit, there must be proper exposure to sun as well as sufficient rain. However, there is a difference between how the sun affects a plant versus how rain affects a plant. The sun remains in its place millions of miles away from earth and only its rays reach the earth. The sun itself has no relationship, so-to-speak, with the plants and trees on earth. Rain on the other hand, traverses the distance from the rain clouds to the earth, and the raindrop itself enters the plants and trees. Both rain and sun however, can only ‘fulfill their mission’ of nourishing life on earth if seeds were pre-planted in the earth. The sun and rain cannot create those seeds. The concept of creating seed from nothing in order to reproduce life is only accomplished by parents. It is only after the ‘parent-fruit’ has produced seeds, which are then planted in the ground, that the rain and sun can be effective. Rabbi Yehoshua declared to Rabbi Eliezer that he is greater than the sun. The sun heats and lights up the world with its powerful rays, but Rabbi Eliezer’s warmth enlightens this world and the next world through his deep and penetrating wisdom. Rabbi Tarfon added that Rabbi Eliezer is not only greater than the sun which shines its light from afar, but he is even more valuable than rain. The rain which descends to the earth and fuses with the growth below becomes part of its recipient. Rabbi Eliezer is such an embracing loving Rebbe that he unites with his students; he infuses some of himself into the fabric of their souls and invests in them life in this world and the next. Rabbi Eliezer ben Azaryah added that indeed the sun and rain are extremely valuable and vital to the perpetuation of life, but what good are the sun’s rays or rain if there are no seeds in the earth to receive the blessings from above? Rabbi Eliezer therefore, is more precious than the sun and rain; in fact, he is even more precious than parents who are the progenitors of life itself. 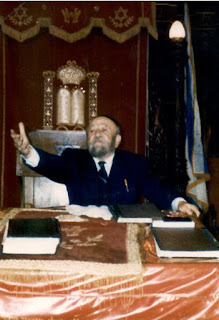 By teaching myriads of students Torah and proper conduct in Avodas Hashem he created a generation who will seek the life giving rays of the spiritual sun and rainfall to continue to nourish their souls. All of these praises can also be applied to our great Rosh Yeshiva, the gaon, Reb Aharon zt’l. With his insight, perception, and brilliance, he has enlightened the Torah world. However, he was not only like the sun which shines from afar but he was like the rain which bonds with its recipients. He became involved, and cared for the welfare of every student and worried for them so much that their premonitions and anxieties became his concerns as well. When a doctor sees a patient, the doctor will try hard to cure his patient. However, the doctor is well aware that his own life is not in danger. On the other hand, a captain at sea is on the same ship that the passengers are on and therefore, if their lives are in any sort of danger his life is in danger as well. Therefore, the efforts of the captain on the ship to ensure the safety of his passengers will be far more intense than the efforts of the doctor standing behind the operating table operating on his patient. The Rosh Yeshiva was truly like the captain of a ship. He felt inextricably bound to his many students and his soul was intertwined with theirs. This was especially true because he personally shared their pain because of the massive and unspeakable losses which they suffered. When the Rosh Yeshiva arrived on the shores of America, there was a massive deficiency in Torah study. There was hardly anyone who was dedicated to in-depth, analytical, penetrating Torah study. There were hardly any students who were interested in learning from the great Rosh Yeshiva. It was at that point, that he began his final phase of greatness as a Rebbe, i.e. he became like a parent to his students. 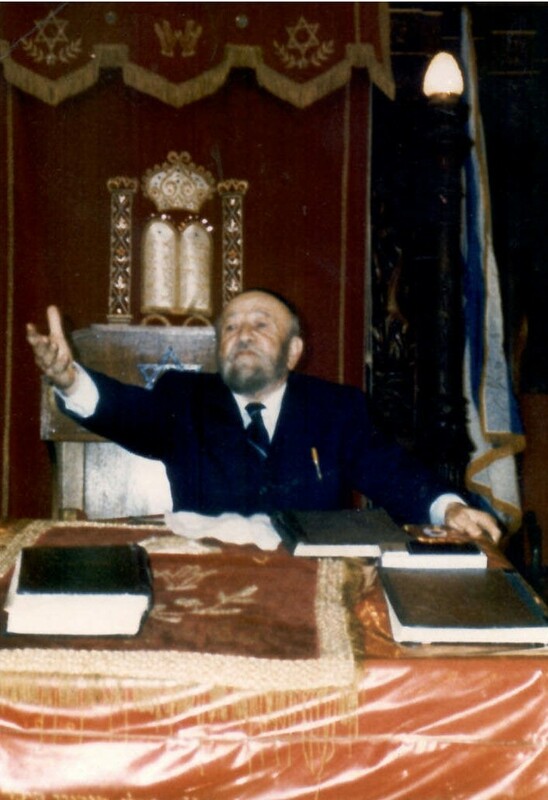 He dedicated himself to creating an army of disciples and was committed to planting seeds of people who would commit themselves to the ideals of serving G-d with their entire soul and being moser nefesh for Torah study. At this point, there began another transition in the life of the Rosh Yeshiva. Rain does not only fall on plants and trees but it also falls on pavement, causing roads to become sullied. So too, the Rosh Yeshiva committed himself to lowering himself into the mud in order to draw out those who would support and help strengthen the Yeshiva. The pasuk (Shemos 18:21) says, “And you shall search from among the people, men of valor; those who fear G-d, men of truth, who hate insincerity, officers of thousands, officers of hundreds, officers of fifty, and officers of ten.” In every generation, there were elite Jews who were repulsed by money because they felt it had no value. The Rosh Yeshiva zt’l grew up with those feelings as well. But here in America, in order to sustain the yeshiva he was forced to busy himself with money. How much degradation and humiliation did he suffer because of money! How much time did he have to waste in order to procure the necessary finances to upkeep the yeshiva! This too, is part of the reason why the efforts of the Rosh Yeshiva are analogous to rain. Often he was forced to lower himself into the muck, just like the rain which falls and creates mud. Still-in-all, he remained as dedicated as always, constantly shining his ethereal light upon his students. The Rosh Yeshiva is no longer with us! There is no one who can fill his shoes! There is no one who can sanctify the name of G-d with his passion and vitality. It is now incumbent upon us, with our feeble abilities, to carry the Rosh Yeshiva on our shoulders, by continuing his holy work and efforts. My aunt related that the only time she ever saw her father (‘Zayde’) cry was when he was informed of Reb Aharon’s passing. The eulogy he related was truly from the heart. Zayde, who was orphaned at a young age, truly viewed the Rosh Yeshiva as a father figure. T’hay nafsho tz’rurah b’tzror hachaim!